Been in a Car Accident in Brandon? If you have been in a car accident, then you’ll need to seek the appropriate medical treatment. As a specialist in treating car accident injuries, many people choose to schedule a consultation with Dr. Matt Wilson in Brandon. Why do people often see a chiropractor after a car accident? Even low speed car crashes can cause significant damage to your spine and neck. If you have been experiencing any headaches, back pain or whiplash symptoms, our chiropractor specializes in a form of corrective care that is very effective at treating car accident injuries. Whether you’re visiting us in Brandon or at our Big Bend location, there’s a specific process that Dr. Wilson follows with anyone suffering from car accident injuries. The process starts with the initial consultation where you’ll be asked questions about the accident and Dr. Wilson will have you fill out some important paperwork. Be prepared to provide your claim number and other pertinent information relating to the car accident. If you need a personal injury attorney, then Epic Chiropractic can help you find a good one. Next, he will move on to the physical examination portion of the visit. Dr. Wilson will take some X-rays in order to see exactly what is going on internally. We also want you to be prepared to start treatment that same day, because issues start forming in the spine immediately after a car accident. As a chiropractor, he can effectively address these issues and will want to get started ASAP. He’s going to go very lightly with you, so there’s no reason to be nervous about this initial consultation. Dr. Wilson will also provide some tips on how to ice your problem areas and continue the recovery process when you’re at home. This first visit at our clinic will take longer than the average visit, so please allot at least an hour towards this initial consultation. You’ll not want to feel rushed during this process as there are plenty of things to discuss. If you have any questions, please feel free to contact us ahead of time. As mentioned before, Dr. Wilson will want to start treatment as soon as possible for patients who have been in a car accident. The problems this type of trauma produces in the spine will only get worse if not addressed by a pain specialist. That being said, we aren’t merely trying to address the symptoms our patients are experiencing or even get them back to where they were before getting into a car accident. With our specific approach to corrective care, we work with our chiropractic patients to make them even healthier than they were before the accident. If you don’t have a healthy curve in your neck or lower back, Dr. Wilson wants to address those issues as well. Our goal is to not only get you feeling better after your car accident, but we also want to make you healthier overall. What Are the Most Common Car Accident Injuries in Florida? Even minor car accidents can result in serious bodily injuries. The problem is that some may not present with noticeable symptoms right off the bat and so will forgo seeking the appropriate medical treatment after being in an auto accident. If you look at some of the most common car accident injuries, you’ll see that some of these conditions won’t produce noticeable symptoms right away. Length of treatment depends on the severity of your injuries and ability to adhere to the prescribed treatment plan. If you were rushed to the hospital for surgery following a car accident, you may need to complete a surgical rehabilitation program before working with a chiropractor. Those with broken bones will need to wait until after they have healed to work with a chiropractor. Coming to an abrupt stop causes a significant amount of trauma to the human body. If you’ve never been in an accident, you can think about the impact of a car accident at just 30 miles an hour being equivalent to a car driving off the roof of a three story building and crashing into the ground. This jolts the neck (whiplash), bruises internal organs, injuries legs and knees, etc. Even an accident at slow speed can produce long-term injuries. What Treatments Do Chiropractors Use For Car Accident Injuries? This form of therapy is often used by chiropractors to treat car accident injuries as a compliment to an adjustment or when it isn’t possible. For EMS, the doctor will place electrodes around the affected area that then transmite low-level electrical impulses into the tissue. This form of therapy involves a hot pack or paraffin treatment that is applied to the skin. The goal is to increase the temperature of the soft tissue right below the skin and can be an effective treatment for car accident injuries. Conversely, cold packs may also be applied to treat car accident injuries. If the underlying soft tissue is inflamed, this is a viable form of therapy for our patients in Brandon. Yes, massage therapy can be applied effectively for auto accident injuries. At our clinic, patients can receive anything from light to deep tissue massage targeting the soft tissues of the affected regions in the body. Special consideration is made with this form of therapy and may not be recommended for every patient. This form of treatment uses ultra-high frequency sound waves that are beyond the ears ability to register. Chiropractors can use ultrasound therapy to impact affected tissues at several different levels at the same time. These sound waves penetrate the target zone, then vibrate and heat the area. It’s important to get the body moving again quickly following a car accident. Otherwise, scar tissue can build up and severely hamper the body’s range of motion. Dr. Wilson will work with his patients to develop a rehabilitative exercise program designed to increases their range of motion after a car accident and improve their posture. What Happens If You Don’t Seek Treatment for Your Car Accident Injuries? 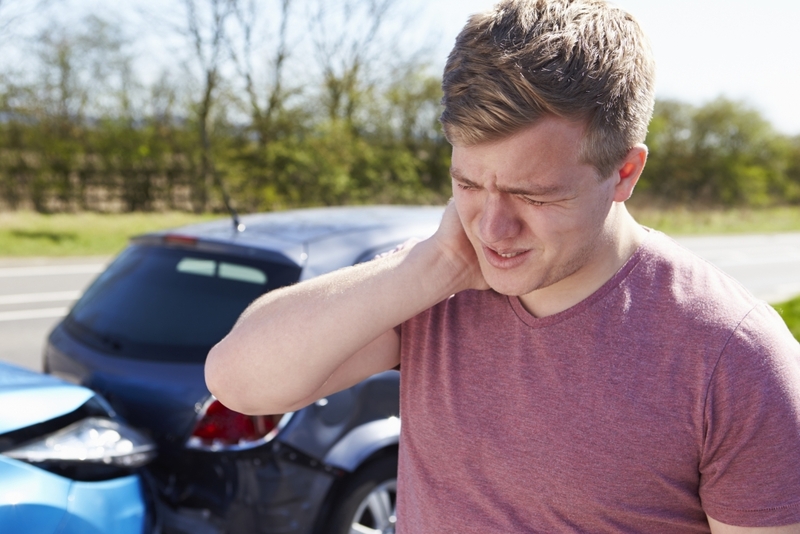 Within the first 3 days after a car accident, people can expect to start experiencing pain and swelling around the impacted areas (neck, back, legs, etc). Typically, the best course of action is to get plenty of rest and make sure that these areas aren’t impacted further. You can use ice to address the pain and swelling. Here’s a link to instructions on how to make a cold compress. Depending on what has been injured, you can elevate the area to reduce swelling and pain as well. The swelling and trapped fluids in those injured areas eventually will start to limit a person’s range of motion. This can be very painful. If you’re seeing a chiropractor for your car accident injuries, then they will have you doing rehabilitative exercises. These help unblock those fluids. A chiropractor may also apply heat therapy at this time. Applying heat to injured areas encourages the body to send red blood cells there and this encourages the lymph system to flush out those problematic fluids from the affected area. If a person has not received any treatment for their car accident injuries by this point, the pain and reduced range of motion can become permanent. A chiropractor could still help at this point, but we wouldn’t be able to make any guarantees. Please don’t wait this long to seek the appropriate medical attention for your injuries. Call us today at # to schedule an initial consultation and get back on the road to full recovery!